Polyethylene coated ribbed steel horizontal slats. 75 Lbs. Flat lid/dome top and liner sold separately. Dome top and liner come in limited colors. 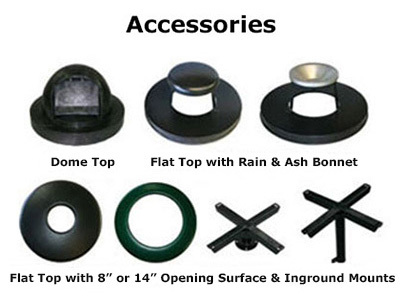 Dome top or flat top lid with or without ash or rain bonnet available. 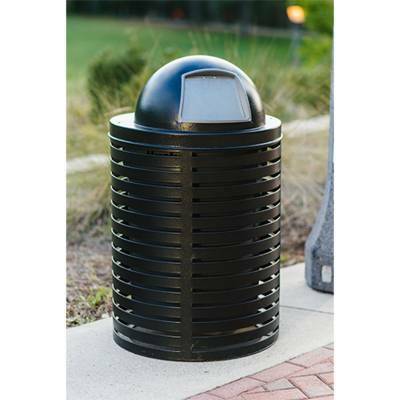 Also available in 22 gallon receptacle. This 32gal. Horizontal Strap Trash Receptacle is the perfect trash can for Malls, Shopping Centers, Fast Food Restaurants and any business that requires a large capacity sized garbage can. It can withstand any commercial application and any weather mother nature throws at it. 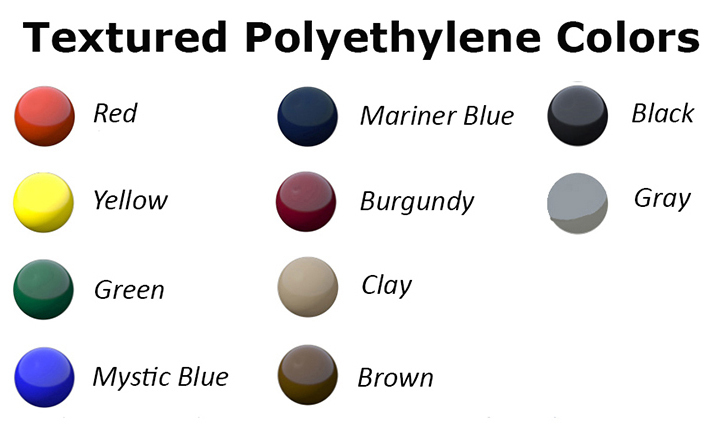 A large variety of color choices are available. Comes with a 5 year commercial warranty! Best of all...Made in the USA! Call or email National Outdoor Furniture today for a quick quote!